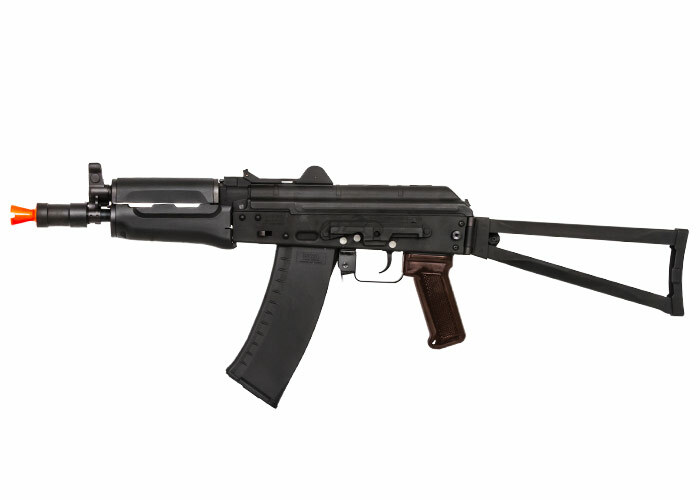 The AKS-74U is a compact version of the AKS-74U ("-Russian: Ukorochenniy, or "shortened") and was developed in the late 1970s. 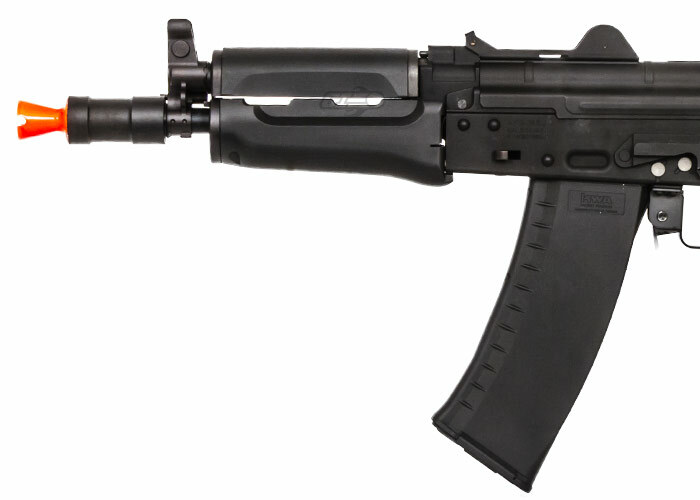 The AKS-74U was intended for use as a personal defense weapon for vehicle crews, airborne infantry, and special operations forces. Each demanded a short, but relatively powerful automatic weapon. Although the AKS-74U had the size and maneuverability of a typical submachine gun, its biggest draw was that it fired the Russian 5.45x39 rifle cartridge. 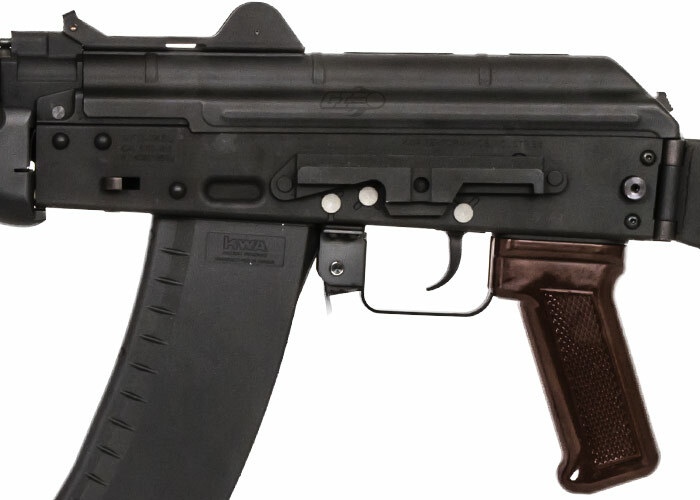 Firing an intermediate rifle cartridge allowed the AKS-74U to pack more firepower than a regular submachine gun, which usually fired weaker pistol caliber rounds. 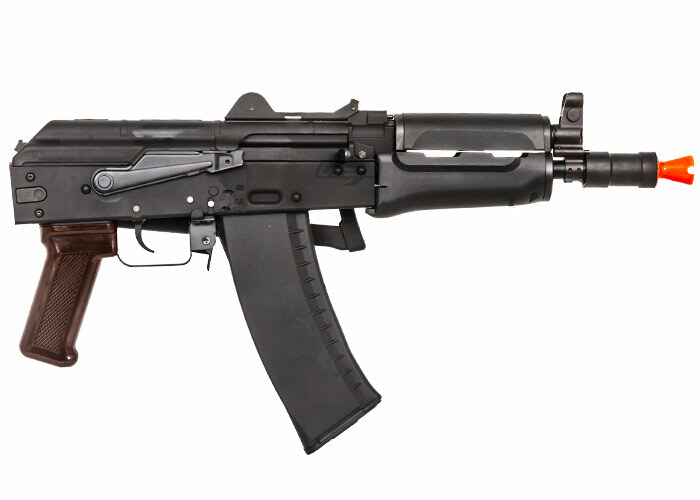 It also shared components with the general issue AK-74, making it convenient for soldiers to acquire parts when needed. 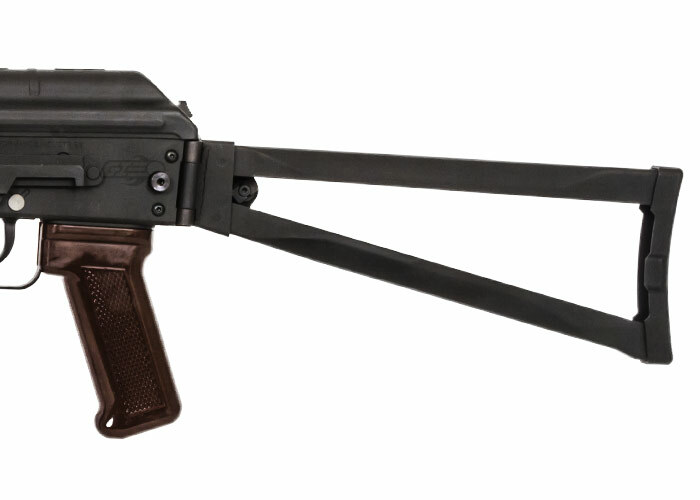 The KWA AKG-74SU is an exact replication of the AKS-74U and features realistic field-stripping. The firing action of the bolt carrier group has also been faithfully reproduced and includes safe, full, and semi-automatic firing modes. 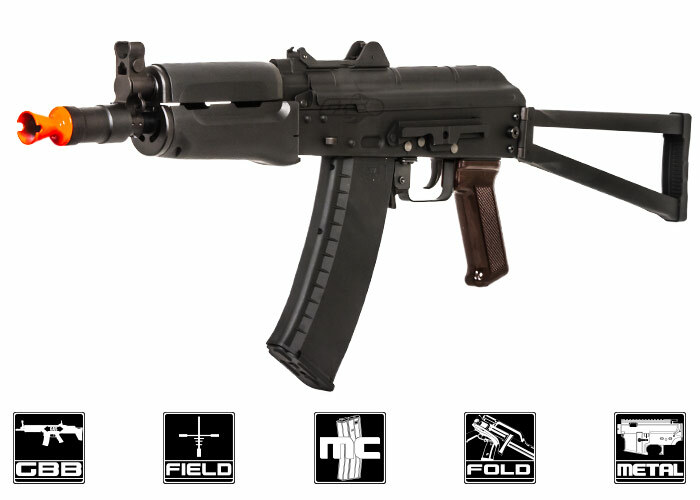 The KWA AKG-74SU combines with the reliability of all KWA gas blow backs into a small and compact close quarters rifle, perfect for those who want a realistic AK for CQB environments.